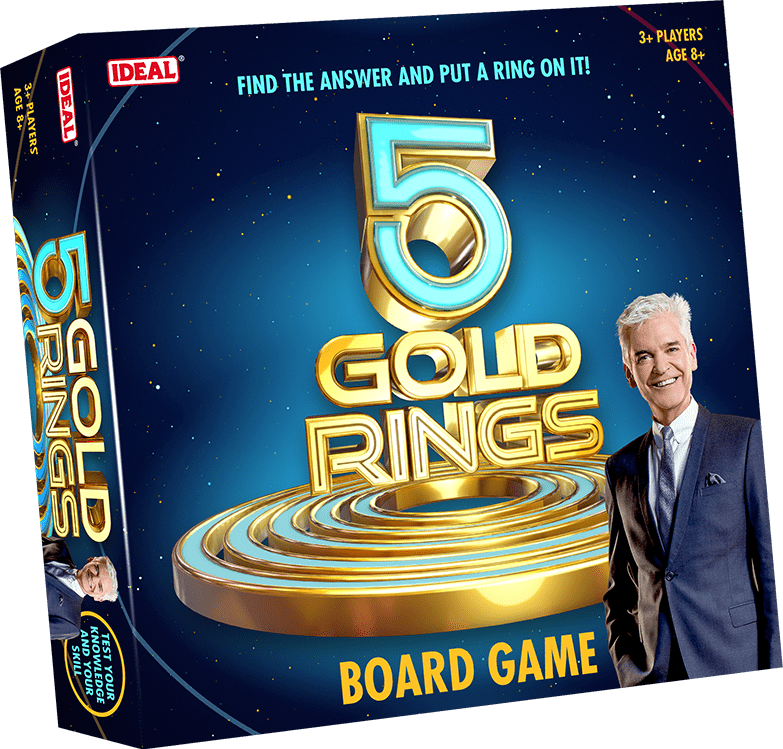 Based on the hit ITV show, 5 Gold Rings is the game where knowing the answer is not enough – you’ve got to put a ring on it! 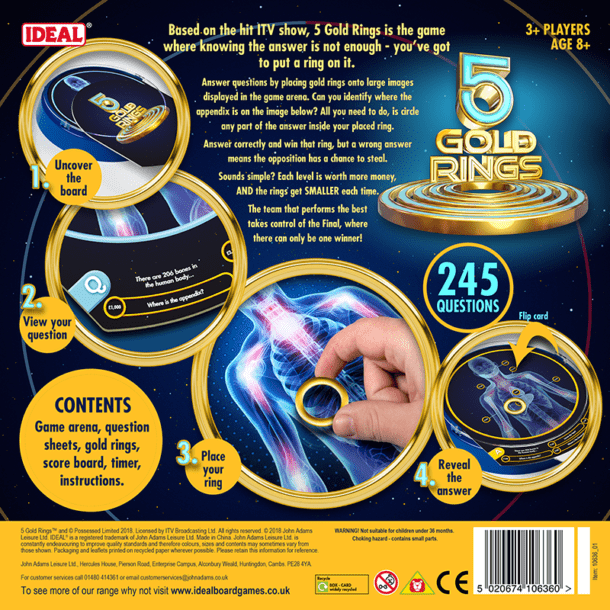 Answer questions by placing gold rings onto large images displayed in the game arena. All you need to do is circle any part of the answer inside your placed ring. Answer correctly and win that ring, but a wrong answer means the opposition has a chance to steal. Sounds simple? Each level is worth more money and the rings get smaller each time! The team that performs the best takes control of the final, where there can only be one winner.